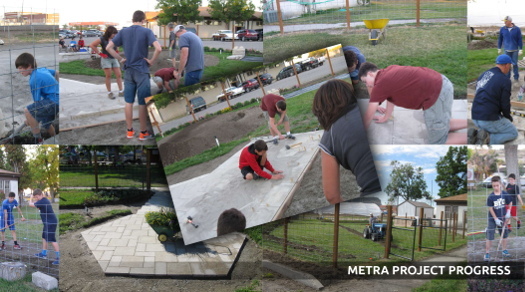 Check out the progress on the Master Gardener Education and Demonstration Garden at MetraPark. The Association is moving forward with several projects and continuing our mission to have a great group of volunteers, support the MSU Master Gardener program, exchange information and to educate. Last week the board elected Karen Honkomp to replace Murry Lyda who is headed to the west side of the state to enjoy his retirement. We will miss Murry and his expertise immensely; however Karen is very well qualified and eager to help the board direct the Association mission. The board now has another opening so we are once again asking for you to consider taking on this task. Currently the Association has decided to meet just six times a year on the 2nd Wednesday at the Extension Office. The next meeting will be November 9th. Our meetings typically are around one hour long. So you can see, it is not a big time commitment; but we do need to keep the Association ball rolling and make sure we are meeting our community and Master Gardener needs. At a typical meeting we will discuss upcoming projects, fund raisers, do some brain storming and decide the Association’s direction. Fresh faces and ideas are always welcome. 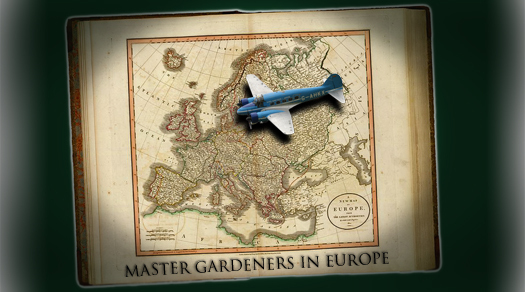 To be on the board you must meet two criteria, be a Master Gardener in good standing and be a member of the Association. Dues are due the first of every year, so we will all be resigning up anyway. 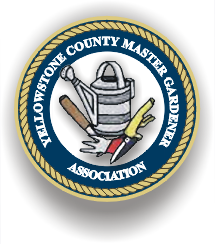 If you are interested in improving and directing the Yellowstone County Master Gardener Association, please notify one of the following members of the election committee: Mary Davis, Joyce Hendricks or Merita Murdock. If you want more information on what “being on the board” is all about, I am sure any one of the current board members or election commitee members would be more than willing to chat with you. Current board members are: (Officers) Bob Wicks, Sharon Wetsch, Chris Smith, Linda Brewer, (Board Members) AnnaMarie Linneweber, Karen Honkomp, Teresa Bessett, and Merita Murdock. Thank you for considering helping the Master Gardeners and our community. 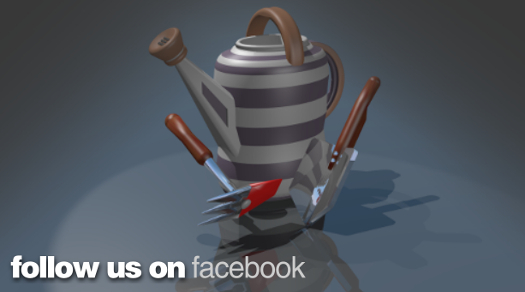 Do you know some of the dangers involved in gardening? What is safe and what isn't? See if you can outwit the experts and identify strange and beautiful flora in the latest Master Gardener Association Quiz. The 2016 Master Gardener Celebration will be held September 29th to October 1st at the Hilton Garden Inn, 14th Street Southwest in Great Falls Montana. Our guest speaker is Whitney Cranshaw, Entomologist from Colorado State University and author of many great gardening and insect books. The event also features a tour of the Lewis and Clark Interpretive Centre, a tour of Groundworks Farm, the Fort Shaw tour of Branch Brady’s Home and many great learning sessions from experts. Contact Toby Day at 406 994-6523 or Dara Palmer at 406 994-2120 for more information. Linda Brewer and Christine Smith join the Yellowstone Master Gardener Association Board of Directors as Secretary and Treasurer respectively. The new officers replace outgoing Secretary and Treasurer Elaine Allard and Merita Murdock. 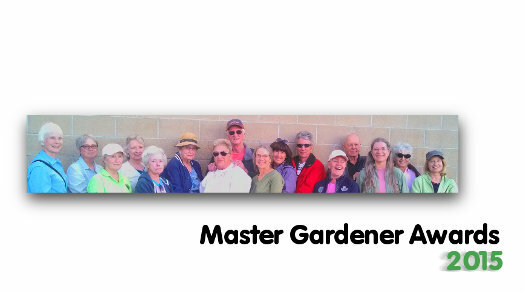 The Association thanks you for your excellent service and continued participation in the Master Gardener Program. Team Mordeaux recaps the work done on the Education and Demonstration Garden at Metra Park in 2015. Follow the link below for the Billings Gazette article and photos of the work. The Education and Demonstration Garden project at Metra Park is progressing with the help of Master Gardeners and volunteers. Follow the link below for details. The Yellowstone County Master Gardener Association is a 501(c)(3) nonprofit organization that's main goal is to raise funds for Master Gardener programs. The YCMGA also assists Amy Grandpre in any of her needs. I would like to thank all of the Master Gardeners who supported the Yellowstone County Master Gardeners Association in 2014. We accomplished a lot because of you and we have even bigger plans for this year. We helped educate people about community gardens, gave lectures to clubs about gardening and had some fun get-togethers to brag about our gardens. We also had Master Gardener classes at the Women's Prison, seed starting and garden safety classes. The YCMGA also acquired a piece of land at the Fair Grounds next to the NILE building. We are going to make this an education and sensory garden. Amy's Garden, which is named after Amy Grandpre (the originator of the Master Gardener program in Yellowstone County) will have a kid's area, flowers and a vegetable area. Our big and exciting addition in 2014 was a hoop house. We will be able to start plants, have classes and extend our season with it. We will need a lot of help with both improving and maintaining the garden. Associates receive a discount on special events where there is a charge as a thank you. Thank you again and I look forward to another great year. Iowa and Nebraska are hosting the 2015 International Master Gardener Conference at the Mid-America Center, One Arena Way, Council Bluffs, IA. Please join us there September 22nd-25th for the usual conference fun (hands-on workshops, tours near and far, and great goodies) with Midwest flair. Visitors will be flying into the Omaha airport and staying in nearby hotels. Anyone can register at the door. It is your chance to see some great speakers, meet Master Gardeners from all over the nation and see some great tours. The Philadelphia Flower and Garden Show takes place on March 5th - 8th in Philadelphia PA. Montana Master Gardeners have set up a special trip to attend the event. Check out our Calendar for the month of March and click on “Philadelphia Show” for more information, website links and contact e-mails. Check out the new quiz from Joann Glasser on medicinal plants. 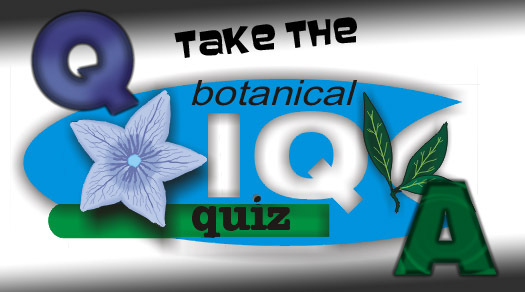 Test your knowledge, identify fascinating plants and learn their botanical names. The results of the November 2014 election are final. Bob Wicks was re-elected to the presidency, and Sharon Wetsch was re-elected to the vice-presidency. Merita Murdock will remain as Treasurer until someone steps forward to help with this position. The open position for board member was filled by the election of Anna Marie Linneweber. If you know of someone who is an Associate member that would be great for one of these positions, or if you yourself are interested, please contact Amy Grandpre with your name or the names of your candidates by November 1st 2014. We will then have the candidates meet with the board for interviews during our November monthly meeting, which will be held November 12 (Wednesday), 5:30 pm at the Extension Office. There is some exciting information making it easy to support our Association. Roy Wahl has set up a special Yellowstone County Master Gardener Association account with Amazon called Amazon Smile. 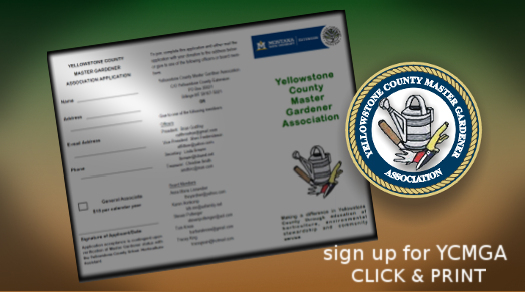 By clicking on the link below, and then typing in Yellowstone County Master Gardener Association, .5% of purchases made through this portal will be donated to the Association. So please use this link when making Amazon.com purchases, and know by doing so that you are also supporting the Master Gardener Association. The annual Standard Flower Show has a new venue, just around the corner from the previous site, in the atrium of the D.A. Davidson business at 2809 2nd Ave N. The show will be held on Friday and Saturday August 1st and 2nd, 2014 with the theme: “The Buzz on Bees.” Click here for further information and contacts. Check back for more deals to come! This year (2014) we have a new and wonderful opportunity for collaboration between the Master Gardeners program and the Billings Public Library (BPL). We are planning for this to be an ongoing, year around, opportunity with the Master Gardeners helping to organize and present educational garden activities to the community, in partnership with the BPL librarians. 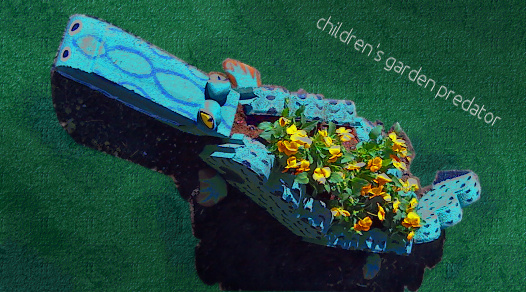 Currently we have scheduled three (3) gardening projects/learning activities with the children's librarians. The first opportunity is this spring on April 18th, another is this summer and the third will be this coming fall. These projects will take place in the children's area of the library. For the three currently scheduled projects we could use 6-8 volunteers for approximately 2.5 - 3 hours each time. 2014 membership dues for YCMGA are due. YCMGA received its non-profit status in the late spring of 2013. All funds raised are used to directly support Master Gardener activities within Yellowstone County. In 2013 YCMGA secured three grants totaling $1,145, $335 from associates for dues and an additional $2,036 in direct cash donations. With those funds we supported Master Gardener programs, recognized outstanding Master Gardeners, provided memorials for those who left this gardening world and more. The association organized classes for Master Gardeners and the community on seed saving, starting seeds, and 3 in-depth classes on trees in our community. We provide YCMGA associates discounts to classes and events, a 10% discount at Heightened Harvest and Chickadee Tweets as well as a preview to sales at Gainans. There are numerous events planned for 2014 and we would welcome your input. Our meetings are held on the second Wednesday of every month: go to our Calendar for details. Work is complete at the Moss Mansion patio project. More than 90 hours of labor have been done to complete the project. Several pickup loads of sand and gravel were required to re-level the pavers in the patio. Drop by the Mansion to see the results. Bob Short is a familiar face around Friendship House and a veteran Friendship House supporter and former board member with involvement that reaches back about 30 years. Bob is heavily involved with the “children’s garden” where he brings great knowledge to the program from a lifetime of gardening beginning at his childhood farm in Iowa. Along with a team of approximately five other Master Gardeners, Bob hopes to realize his “vision for the garden…that we provide this opportunity for Friendship House to expose kids to gardening.” Read the complete article in the Fall 2013 Friendship House Newsletter. The Botanical Society at ZooMontana was featured in an article by the Billings Gazette on February 15th, 2013. Read about the early plans and future goals of the people who want to expand and improve the gardens at ZooMontana by clicking here.